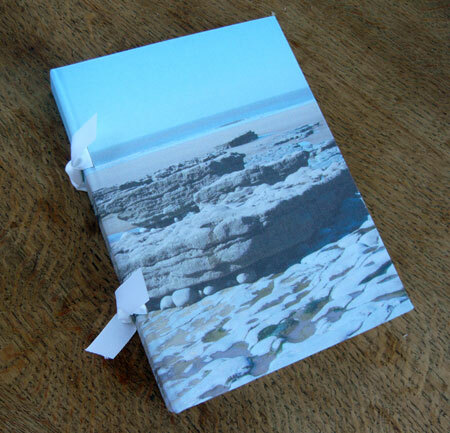 This is another book I have made using the inkjet linen book cloth and one of my images – in this case, a photograph of a place in south Wales called Southerndown. 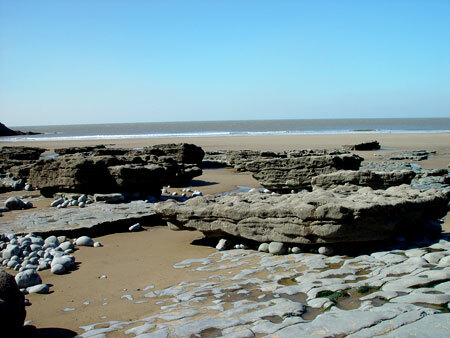 I used to live in Cardiff and Southerndown was one of our favourite places to go for a walk at the weekend. This is the original photograph. 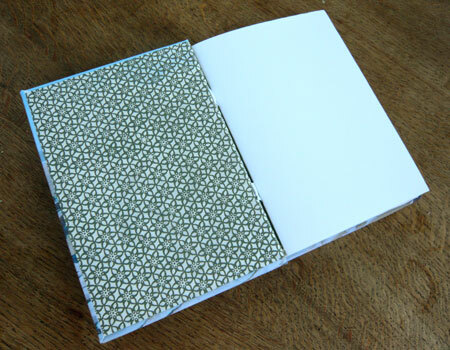 As you can see, the colours aren’t quite as vibrant when printed on the bookcloth but it still looks really good – well, I think so. It’s a gorgeously sunny day today, so I am off out later with my camera to take some more shots to turn into book covers…. Kim over at Laketrees recently received this award from Colin over at Life, who had received it from another Kim over at purplefrogcat. Bijoux and Banter for inviting me to sell my books in France! Speedcat Hollydale for Wordless Chicken Tuesdays. RIP. Creechman who doesn’t do tags or memes but needs thanking anyway…. Now, in the worst link ever, I am going to post several things which have ‘brightened up my day’ this week. All completely different, all completely mad, all made me laugh. This first video is a football match where the players have binoculars strapped to their heads. Oh and they are wearing stripey pyjamas. And the referee is a rabbit. Only in Japan…. It is little wonder this great creature failed to continue its lineage: with no ears it could not sustain a top hat upon its head and thereby expired from lack of common dignity. The Royal family on a day out. Diane – thanks for the award! The first video of “soccer” was hilarious. I wonder what type of goggles they were wearing? that royal family image was hilarious. Glad you enjoyed the rest ….they are wearing binoculars as goggles! I did see the YMCA one with the caption “Blasphemy – a ticket to hell has never been funnier” – eek! It did make me laugh though too so we’ll be there together…. Oh thanks Diane, you are so kind and I am honored to receive it! 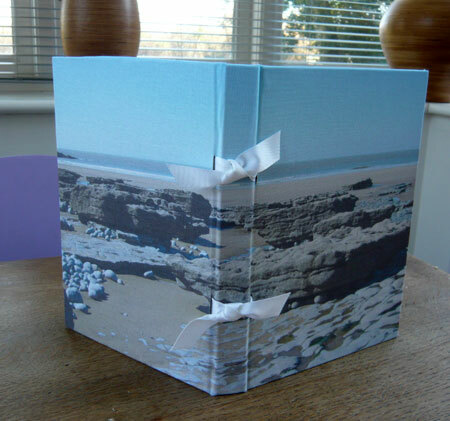 I love the idea of photo being used as covers…I have some fab ones which would make perfect covers! The YMCA photo….the guy in the middle is a double of a friend of ours who now lives in Canada. I will have to check it out to see if it is him, it’s just the sort of thing he would do! So….what have you decided about France…..? mmm answers on a postcard! Diane, you post the funniest things! I come to get a laugh for the day as much as to view your beautiful work. I think it works for the colors to not appear as vibrant on the linen; it gives the photo a dreamy quality that I like. Speedy – feathers to you too! Lots of them! Lunes – my pleasure! How funny if it was your friend – you must let me know if it is! France is not looking good as I can’t work out how I would get there in time if I have to be in the UK until Saturday morning….such a shame. Whens the deadline to decide? Teresa – thanks! Glad you enjoy the blog. We must have the same weird sense of humour! I agree about the faded colours. It looks like old French linen…. 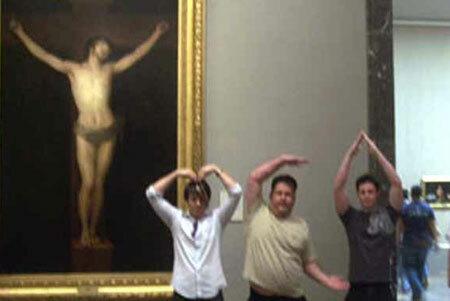 YMCA, and going straight to hell. You are very productive with your book covers. All on ebay, right? Enjoyed the panorama of your vast library. My little loft study became so crowded that I actually got rid of bags and bags of books I would never read again. Now I’m filling up the shelves again. Thanks so very much for your Award and how nice of you to give it both to me and my wife! I’ve collected it on my Awards page. Btw1: The most fun football game I’ve ever seen – thanks for sharing! Btw:2: Your on my blogroll now – should have been there a long time ago! Great comedy today, the soccor video was hilarious – and I love the Royal family on a day out…althoug they really aren’t that cool hehehe. I don’t think it is a sin to laugh at the YMCA joke, I believe God has a sense of humor!! And then I have to thank you for my very first award!!! Now I will really have to think of who to pass it along to…and difficult enough not to send it to the same people as hubby!!! ‘Meem’ – ‘bleem’ ? Wot’s ‘bleem’ then? Glad you enjoyed the football match. It is SO silly it makes me giggle whenever I see it! I was surprised to see you are not on my blogroll either, I shall put that right straight away! dianeca – you are so right, but I think William and Harry would like to think they are cool but Charles is a lost cause…. Harry’s definitely sayng ‘More’…more what I don’t know…not even going there! The YMCA is great isn’t it and as for the great creature I think you have just found the Loch Ness Monster….or is he in Downing St. now? That’s a possibility too hmm. Congratulations on your award and awards. I too need to take a day and design a seperate page for my awards. Maybe, I shall do that today. Oh and the video of the soccer game was hillarious. For us yanks it is soccer. Football resides in a world of it’s ow in the states. Last but not least, thanks ever, so much for the add. I am so very,very impressed with your work,your blog,,,,just simply everything!! I do so hope you enjoy a lovely week-end and I am looking forward to the new pictures you take. I will sort that out as soon as possible. Thank you so much! Colin – I agree about the ‘faded’ look – much more subtle. 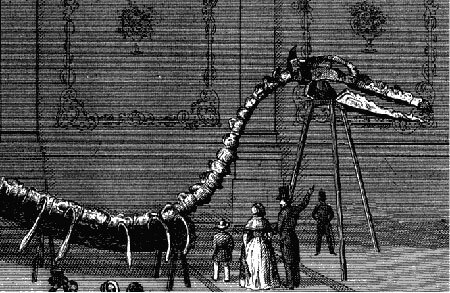 Glad you liked my little ‘diversions’ – the certainly cheered me up :-) As for the Loch Ness Monster – excellent! Or he could even be the dinosaur…..